Crumb Quilting: Crazy or Improvisational? Since the beginning, I’ve categorized my crumb quilts as crazy quilting. And looking at them, you can see why. Visually there’s a lot in common with crazy quilts…. at least initially. I’ve changed my mind. It isn’t crazy quilting. 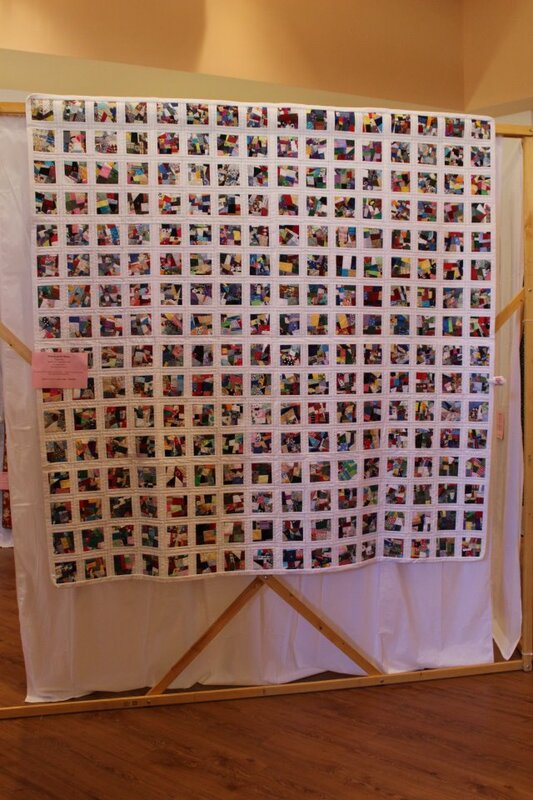 Crazy quilts use many kinds of fabrics, showcase embellishments, and are usually foundation pieced. 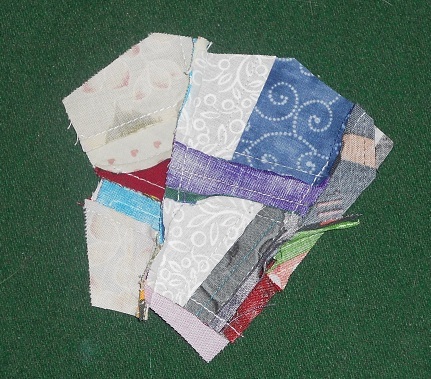 My crumb quilting has much more in common with improvisational piecing, which is a modern approach to creating shapes without using patterns or templates. Here, let me show you. 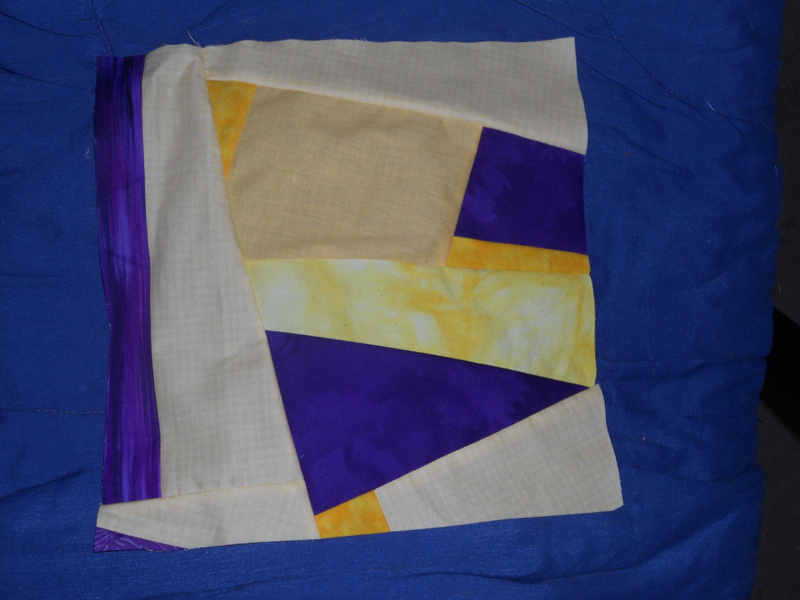 This is an improvisational pieced block that I made for a recent group challenge. I just cut and sewed things together in straight lines, over and over, until I liked the shapes it made and the overall look. It’s regular machine piecing. That’s what I do with crumb blocks, just on a smaller scale. Here is the back of a crumb block in progress. See? Sew a straight line to join two tiny pieces of fabric together. Press the seam to one side, doesn’t matter which one. Sew two those new pieces you’ve made out of two fabrics together. Press. Now you have some 4’s. Sew the 4’s together. Press. Repeat until you have a big enough piece for whatever you’re making. My large quilt has 3.5″ squares. Square it up! It’s going to be a weird shape after all that work so take your ruler and rotary cutter and cut it to the size you want. Use the cut-off leftovers to start the next block. This entry was posted in Crumb Quilting, Free-Piecing, Tutorials and tagged award, crazy quilting, crumb, crumb quilting, crumbs, how-to, improv, improvisational, piecing, teaching, tutorial on September 15, 2012 by quiltartbymegan.